The NSD Powerball gently works every muscle in the forearm in every direction. Its works to improve flexibility and blood flow. Helps prevent and rehabilitate RSI, Carpal tunnel and Tendonitis. 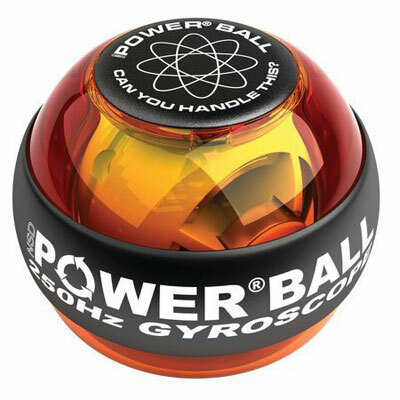 The NSD Powerball has unique 'non impact' properties that gently work every muscle in the forearm in every direction. Its works to improve flexibility and blood flow. Helps prevent and rehabilitate RSI, Carpal tunnel and Tendonitis.